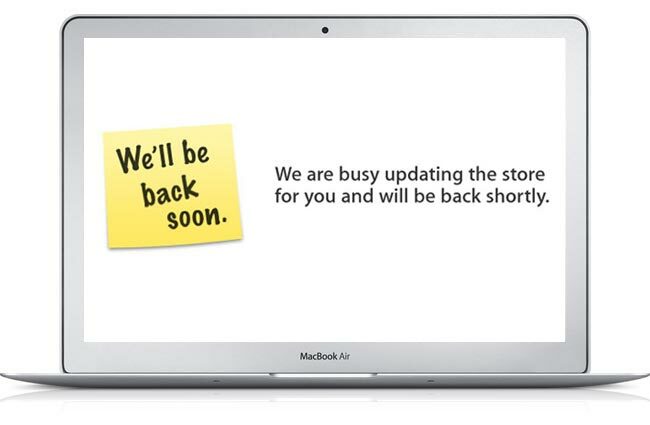 Apple Store Goes Down, 2011 MacBook Air's Coming Today With OS X Lion? Apple Store Goes Down, 2011 MacBook Air’s Coming Today With OS X Lion? The Apple Store has just gone offline so we can expect OS X Lion to be available as soon as the Apple Store comes back online, although we suspect Apple will also launch new hardware today as well as Lion. We have been hearing rumors that the new 2011 MacBook Air’s would launch soon, so we suspect they will be announced today at the same time as Lion goes on sale from the mac App Store. Earlier today we heard some possible specifications for the new 2011 MacBook Air’s, which include the new Intel Core i5 and i7 processors, plus Intel’s Thunderbolt technology. As soon as we find out what Apple will be announcing today as well as the launch of OS X Lion we will let you guys know.